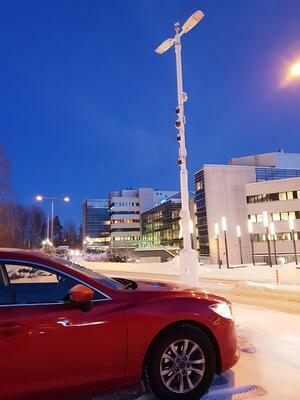 A mini version of a smart city using 5G technology has arisen in Finland as a result of the LuxTurrim5G project. An ecosystem of 14 companies develops smart city solutions using Nokia’s 5G network as a platform. The LuxTurrim5G project, which kicked off in 2017, is heading for the home stretch. The ambitious 5G project has implemented a new generation of superfast communication networks, as well as related smart city services and business models, putting them into practice at Nokia’s campus in Espoo, Finland. ”No one can do things like this on their own,” clarifies LuxTurrim5G consortium leader Juha Salmelin of Nokia. “We are lucky to have a very flexible and active consortium where the partners have been able to solve problems together and discuss even the most difficult issues very openly,” he says. The business potential for different actors involving 5G networks is globally massive. ”I really believe that the unique pioneering work we’ve done in LuxTurrim5G will bear a lot of fruit for all our partners. We are undeniably forerunners in this area of development,” Salmelin states. 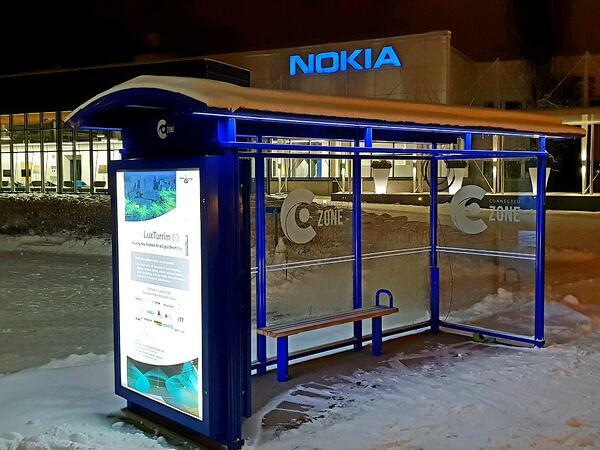 The Nokia campus now hosts a functioning miniature 5G smart network. The breakthrough was the idea of using existing city infrastructure and refining it by integrating the 5G base stations to light poles. ”As the data increases, we’ll need and will want to transfer data that are even a hundredfold over what we have now. The frequencies are so high that the distance between base stations becomes fairly short. Light poles fit very well for this purpose,” Salmelin explains. “In addition, they typically are owned by one party only, such as a city or community, or an energy company. This simplifies many things when common networks or services are built,” he adds. The activities of different partners have been successfully integrated in the LuxTurrim5G network so that each and every one has a clear role in this highly cross-technological ecosystem project. To cite a few, Exel Composites has developed the light poles out of composite. 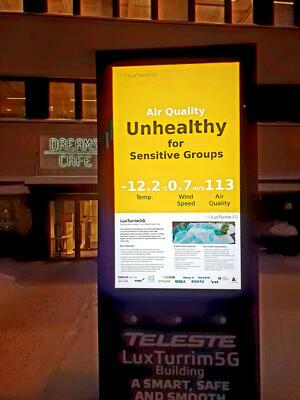 Vaisala has provided sensors to collect real-time weather and air quality data in the network. Teleste has provided 24/7 video surveillance technology and information screens for security and infotainment. Spinverse has played a versatile role in LuxTurrim5G, first facilitating building the consortium and then managing this extensive ecosystem project. “In LuxTurrim5G, we are together developing several new technologies, from materials and sensors to 5G radios, integrating them to the smart 5G light pole, and building a common understanding of business opportunities for new data-driven services,” says project manager Markku Heino of Spinverse. All in all, Wainio says LuxTurrim5G is one of a kind. 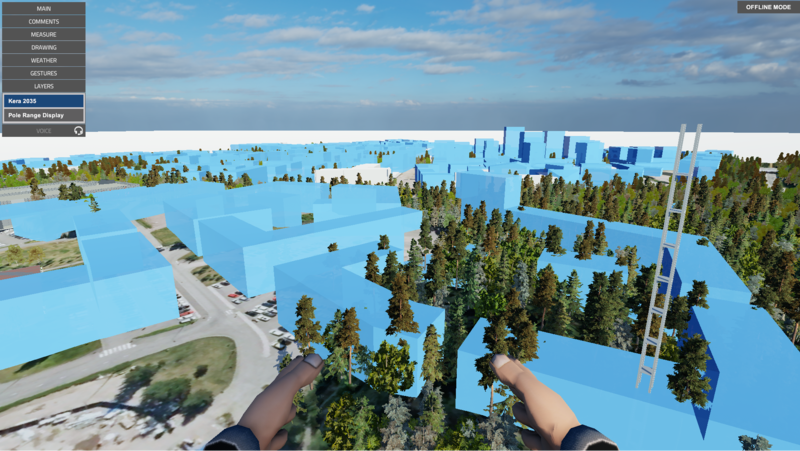 LuxTurrim5G is a Nokia Bell Labs driven ecosystem project developing and demonstrating fast 5G network based on smart light poles with integrated 5G radios, sensors and cameras as well as other related devices such drones and infotainment screens. This ambitious joint project by 14 partners opens new digital services and business opportunities for a real smart city – enabled.